Hi there, and welcome to my little piece of Silent Hill. I am attempting to make a fan site for this game which covers just about everything you can think of. At the moment it is mainly a work in progress as there is going to be a hell of a lot of stuff going on with this site, and a lot of pages, but please bare with me.. It WILL be worth it. You can follow me on Facebook or on twitter it’s up to you. If at all you wish to purchase some Silent Hill works of art etc then click HERE, all monies received will go towards the work on this site. Silent Hill is a survival horror video game franchise developed and published by Konami, but was later developed by other gaming companies, such as Double Helix Games, Climax Studios and Vatra Games. The series has received strong sales and critical acclaim. The success of these games has generated a series of comic books, two film adaptations, and novelizations. 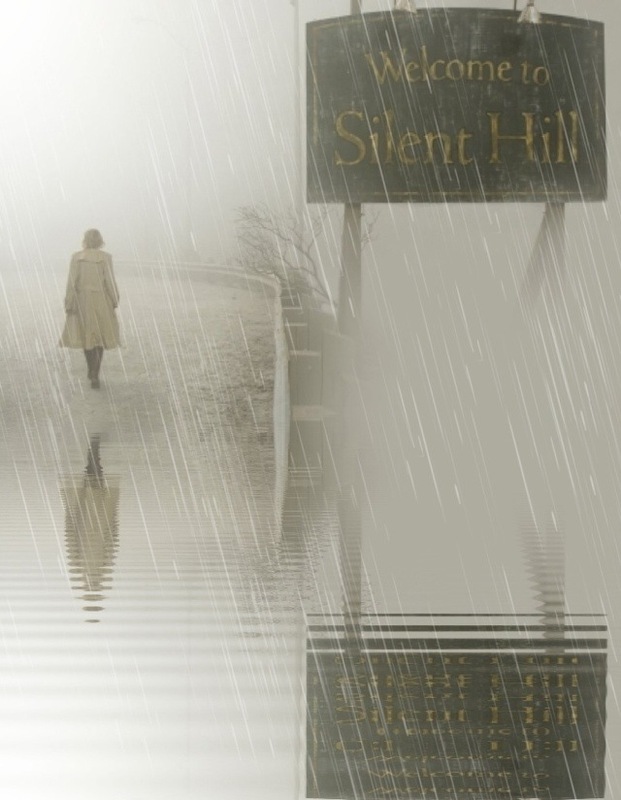 The series receives its name from the fictional American resort town of Silent Hill, which is where most of the games are set. Those that aren’t, such as Silent Hill 4: The Room and Silent Hill: Homecoming, are connected to the town through history, people and various events that occur within the other games. Some of these events and people are explicitly documented or named, whereas others are implied. The first four games in the series were created by Team Silent up until Silent Hill 4: The Room. The Team Silent games were released between 1999-2004. Team Silent disbanded after the fourth game was released, with many members following different paths and working on separate projects. In 2007, the development of the series became western beginning with the release of Silent Hill: Origins. The “music crew” of the series which consists of Akira Yamaoka, Mary Elizabeth McGlynn and Joe Romersa stayed with the series up until the release of Silent Hill: Shattered Memories when Yamaoka retired from Konami. Silent Hill: Origins and Silent Hill: Shattered Memories were developed by Climax Studios, Silent Hill: Homecoming by Double Helix Games, and Silent Hill: Downpour by Vatra Games. In the series, the town of Silent Hill was once known as a sacred and holy place by Native Americans. When settlers from Europe arrived in the 1600s, the Native Americans were forced to abandon it. Even then, the land seemed to possess a mysterious power. As time passed, the power of Silent Hill appeared to increase which led to strange events such as disappearing citizens, misfortunes at Toluca Lake, and the mayor of Silent Hill suddenly dying. This shaped the events which occur in subsequent games and the lives of the characters involved. Three of the games (Silent Hill, Silent Hill 3 and Silent Hill: Origins) strongly relate to the first game’s primary storyline, which tells of the sacrifice of a young girl named Alessa Gillespie by the town’s religious cult, the Order, in an attempt to bring about the rebirth of God. Ordinary people with darkness (sins, personal issues, guilt, or unable to see the truth) in their hearts (for example, James Sunderland, Angela Orosco, and Eddie Dombrowski) are “called” to the town where they witness the supernatural (for example: monsters that symbolize their hidden personas and subconsciousness, an alternate dimension known as the Otherworld). In other instances, people who are related to the town in some aspect or way are also called to the town and can also see the oddities. For example, Harry Mason’s daughter is half of a little girl’s soul who lived in Silent Hill, while Henry Townshend visited Silent Hill many times to take photographs. While each game features characters unique to that story, many are in some way connected to others. For example, Silent Hill explores the story of Harry Mason, who is searching for his missing daughter, Cheryl. The third game is set a number of years later, and the player takes control of Harry’s daughter, now named Heather. In the second game, the main protagonist is a man named James Sunderland, and in the fourth game a character named Frank Sunderland is implied to be his father. Likewise, many characters share surnames, but are never specifically singled out as being related (Mary Shepherd-Sunderland and Alex Shepherd, Lisa Garland and Steve Garland, etc.). Psychological and emotional themes are included in many of the games. Many of the monsters in the series represent different things related to the characters themselves. Many characters often go through character development during the games, such as James realizing the truth about Mary or Heather beginning to learn about her past and who she is. Common features in the Silent Hill games include survival horror and action-adventure elements, exploration of detailed and disturbing environments, in-depth puzzles and riddles, eerie sound effects and music provided by the series composer, Akira Yamaoka, and a complex storyline revealed through numerous cinematic cutscenes and in-game notes. In contrast to the Resident Evil series which features “practical” items such as lighter fluid, batteries and key cards, Silent Hill features more “random” items such as a volleyball, a stuffed cat, a shoe, a piece of hair and chocolate milk. Collecting these random items and trying to find a use for them is a large component of the gameplay. A lot of the time, the actual use of the item goes against the item’s intended purpose, such as a hairdryer being used to electrocute a tentacle monster or a juice box being used to dislodge a garbage chute. Each game unfolds like a movie with several possible endings; the player’s choices during the game determines which ending is shown. As such, there are no canonical endings for most of the games, but for those few with direct sequels (i.e., Silent Hill 3 unfolds from Silent Hill’s Good and Good+ endings, implying either to be canonical). On an average, games feature one Good ending, one Bad ending and a “UFO Ending”, a joke ending whereupon aliens appear. Please scroll down for page links.. There are a lot of ‘smaller’ character roles in the games, but I have tried to stick to the main people in the story lines. Also, there are various characters that appear in more than one of the games. The main character bio will be in their fist appearance, but I have included the parts they play in the title you are looking at.